Needless to say, she was terrified. It took her what she called hours – no, make that days — to get down, after which she took off her equipment and never went back. Oh, and she dumped the boyfriend, too. JT: Basically, it’s an initiative backed by a number of organizations. Our mission is to grow ski and snowboard participation nationwide. We do that by encouraging people to take lessons from professional instructors, rather than trying to teach themselves or learn from a friend. You may be a good skier or snowboarder, but you’re really not trained to teach someone the way that professional instructors are. SD: So how’d it get started? JT: I think the idea first came up in 2007. Representatives from a number of resort associations came up with the idea of initiating a learn to ski and snowboard program. 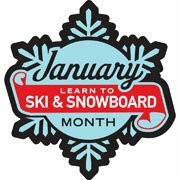 Not much happened for a year or more, until we finally just went ahead and declared January, 2009, “Learn to Ski & Snowboard Month.” We contacted people at various organizations and asked if they’d like to be part of it. A lot of them said yes, and it just kept building and building until we are where we are today. What really propelled it to the next level is the involvement of the National Ski Areas Association two years ago. Now we have more than 300 resorts in 33 states offering special learning programs during January.We also have the support of many terrific organizations: PSIA [Professional Ski Instructors of America], USSA [US Ski & Snowboard Assocation], of course, the National Ski Patrol, to name a few. JT: The key to the initiative’s success is its flexibility. There aren’t any of what I’d call rules. Any resort can create its own program. 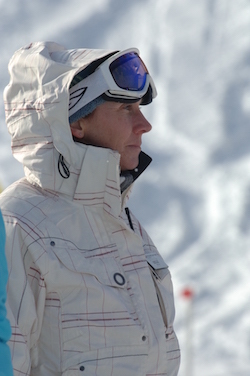 The typical offer is lift, lessons, and rentals. Some resorts do a free offer. Ski NH, for example, works with its members to allow people to take free beginner lessons at participating resorts. 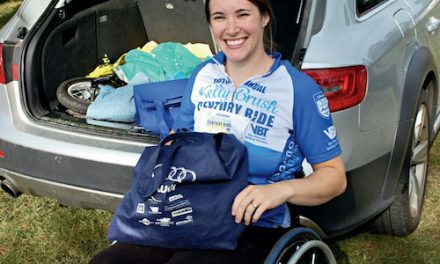 Ski Vermont is working with its members to offer a $29. lift, lesson, and rental package for the entire month of January. And Ski Areas of New York is working with its members to promote what the resorts there are doing. So it really varies, from state to state. We also have a number of retail partners, and we’ve been asking them to work through their existing customer base to bring newcomers into their shops. 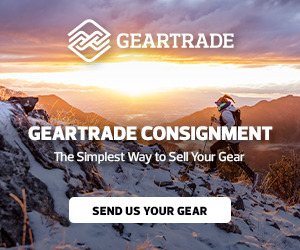 This gives them the opportunity to talk in terms of how you dress, what kind of equipment you might need if you want to stick with the sport. So we approach it from the retail side a little differently than we would from the resort side. At the end of the day, it’s probably the resort where the customer is going to go first to try a lesson to see if they like it. Then the next stop is the retailer. The other part of the program is our website. We have a lot of information there that’s very valuable to the newcomer. Skiing is just like anything you try for the first time. It can be kind of overwhelming. So we take a lot of the information you’ll need and put it in a logical fashion so people can educate themselves and feel comfortable once they get to a ski area. SD: What’s participation in LSSM been like? JT: The first year [January 2009], our member partners provided about 20,000 new skier packages. The second year, 30,000. Then we jumped to 75,000. In 2012 , it was almost 100,000, even though it wasn’t the greatest snow year. We’re hoping to exceed that this year. SD: I understand you’re offering something called The Bring a Friend Challenge. Can you tell me about it? 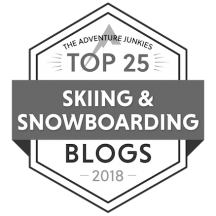 JT: This is an industry-wide effort to tap into current skiers and snowboarders who are in a position to bring a friend or family member to a ski area and help them sign up for lessons. It’s not confined to the month of January. We’re going to start it on December 15, though we may move it up to December 1, depending on the weather, and run it through March 17. It works like this: If you’re already a skier or a snowboarder, you can bring a friend or family member to a local area, sometime between the challenge dates, and have them sign up for a lesson package. The current participant and the newcomer are then asked to fill out a registration form on the “Learn to Ski & Snowboard” website. Every week we’ll have a drawing for a product prize, starting the first week of January through the end of the challenge. At the end, we’ll have a drawing for free trips. For east coast participants, there’s a trip to Smuggler’s Notch in Vermont. And there are two western trips – one to Sun Valley, the other, to Park City – that are for anybody. The trips will be good for next season. We’re hoping that if the newcomer starts taking lessons this year, they’ll go back for more lessons so if they win the trip, they’ll be able to get way beyond the beginner slopes. To find out more about Learn To Ski And Snowboard Month, visit their website here. 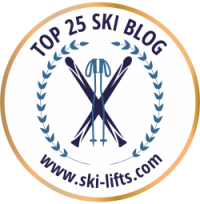 You can also find out what specific ski areas are offering on this page. The Foundation of a Great Skier.